Headaches are a source of pain for everyone occasionally. While there are many types of headaches, the most common is a tension headache, sometimes known as a tension-type or a stress headache. It’s not uncommon for sufferers to experience tension headaches at work. Let’s face it: there are a lot of causes for a headache in the office. These reasons might include computer monitors and other screens, dry air, colds and allergies, fluorescent lighting and unproductive meetings. While it would be nice to have a “lie down” for a headache, it’s not always possible. So, what do you do when you’re stuck at work and battling a headache? There are few ways to relieve the pain. Rest your eyes. 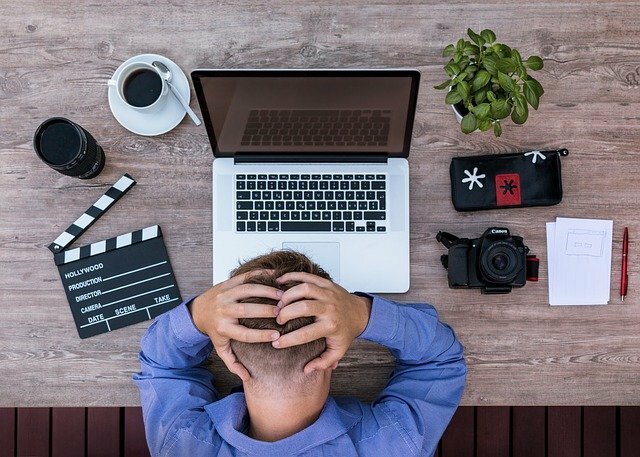 Eye strain can cause headaches, so if you’ve been looking at a computer for hours, find something else to do that doesn’t involve looking at a monitor, such as making phone calls or conferencing with coworkers. Correct your posture. Poor posture can lead to stiff muscles, which can include the muscles in your face and head. Sit up straight, improve your chair or use cushions designed to foster better posture to help you remember to keep your back in a healthy position. Take a walk. A little exercise can go a long way toward helping relieve the pain and pressure of a tension headache. If the weather is nice and there are places to walk around the office, take 10 minutes to remove yourself from the source of stress (your job?) and walk briskly. Drink some water. Dehydration can cause headaches, and offices can be dry places with unhealthy air. Many people don’t drink enough water, and it can cause a variety of health problems. If you wait until you’re thirsty, you run the risk of being dehydrated. Approach the office first-aid kit. Many offices have first-aid kits that contain over-the-counter pain relievers like acetaminophen (Tylenol), or ibuprofen (Motrin or Advil). These remedies are safe for occasional use and can go a long way toward kicking a tension headache to the curb. If you don’t have an office first-aid kit, take the time to order one and be sure it remains stocked!